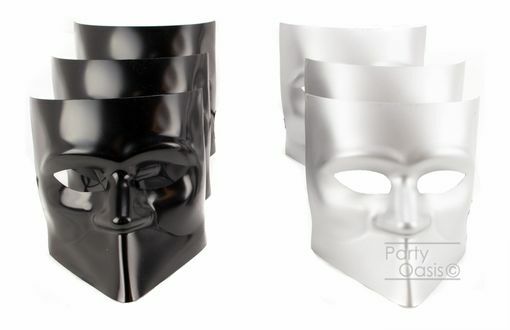 Men's masquerade mask party pack. Six masks painted in solid silver & solid black. Can be worn with black ribbon ties attached. One size fits most.